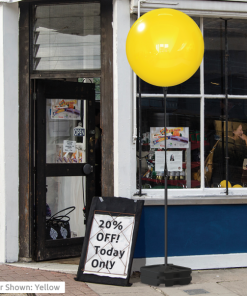 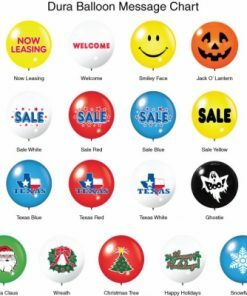 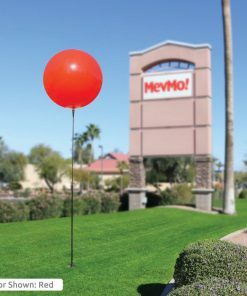 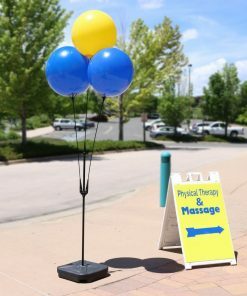 HeliumFree™ 18″ Balloons are specially engineered plastic polymers with metallic flakes to keep them looking shiny, brilliant, and fade-free for months to years! 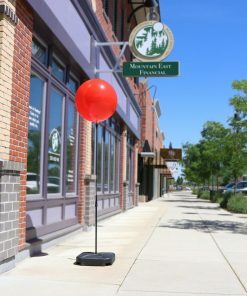 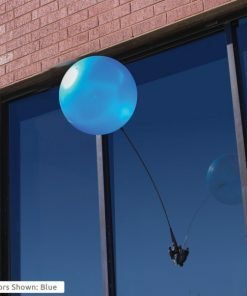 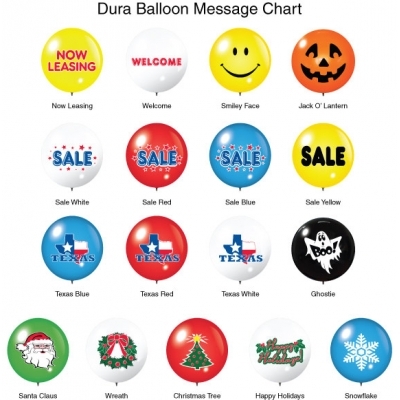 These are the only internally-seamless, air-filled, permanent and reusable balloons on the market today. 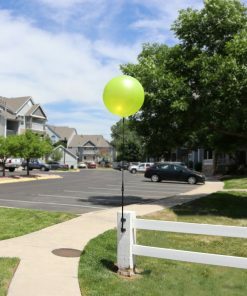 Whether you are in an arctic, tropical or extremely windy region, no balloon can stand up to the elements better than DuraBalloon®. 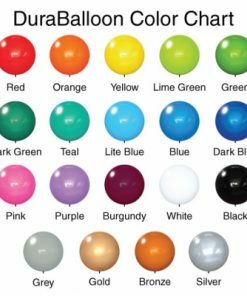 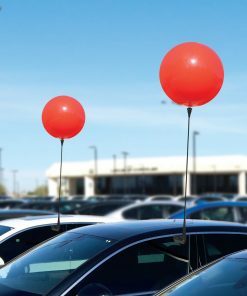 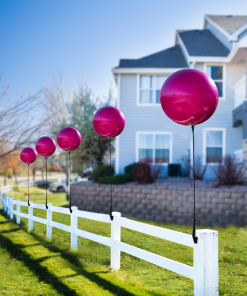 We recommend replacing DuraBalloons® every 6 Months or so due to inevitable dirt and grime build-up that may reduce their original bright shimmer. 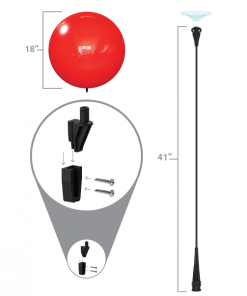 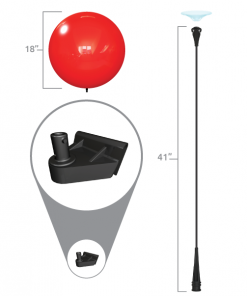 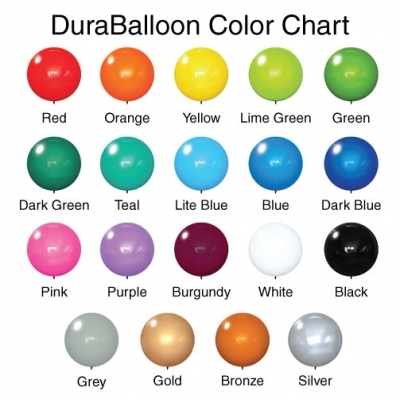 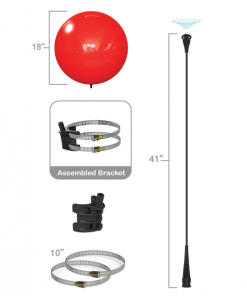 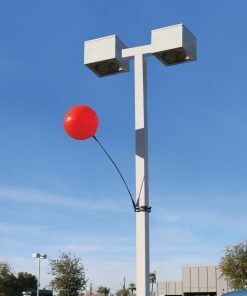 DuraBalloon® Products are round in shape and easily screw into their Fiberglass Stem Holders. 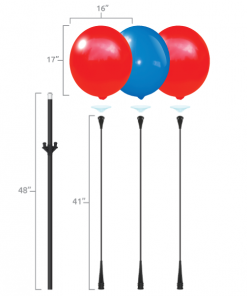 Inflate via the FastFlow Inflator/Deflator, our Hand/Foot Pump, our Inflator Tip with your bike pump, or any other compressor / automotive service center with a tapered inflation nozzle.